Members of the Hampden County Horsepower 4-H Club with staff from the Mass General Cancer Center at Cooley Dickinson Hospital. The 4-Hers donated more than $1400 to help people going through cancer treatment. 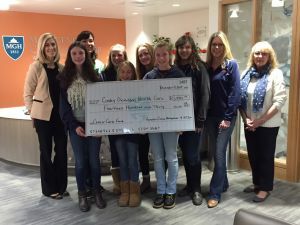 Today, members of the Hampden County Horsepower 4-H Club presented staff from the Mass General Cancer Center at Cooley Dickinson Hospital with a donation of $1430 to benefit the Cancer Care Fund, a resource for patients and families who face financial hardships as a result of a cancer diagnosis. 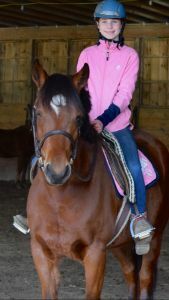 This fall, riders of all ages participated in a horseback riding event at Washstone Ranch. Horsepower members asked friends and family members for donations. Then club members and guests rode the horses, many of whom – both riders and horses – wore pink in honor of breast cancer awareness . More than 35 riders participated in this year’s fundraiser. Proceeds from the fundraising ride are in memory of Jenny Gnazek, friend of Washstone Ranch owners Lee and Nancy Bolduc of Westfield. Jenny was a fellow horse lover and shared her land for trail riding. For the past 10 years, the club has joined forces to support people living with cancer, hosting the ride each fall to align with breast cancer awareness month. 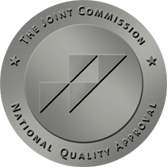 The Cancer Care Fund is administered through the Mass General Cancer Center at Cooley Dickinson and provides financial assistance for people during a cancer diagnosis.